As petabyte (PB) growth continues to increase at a rapid pace, corporate and cloud data centers are under extreme pressure to improve the efficiency of storage. To address this data center challenge, HGST introduces Ultrastar 7K6000, delivering up to 6TB of capacity in an industrystandard, 3.5-inch hard drive, for capacity-optimized enterprise applications. Ultrastar 7K6000 provides 50% more capacity and 30% better power efficiency in terms of Watts per terabyte (W/TB) than its predecessor, Ultrastar 7K4000. The 7K6000 is designed for all traditional and rapidly growing scale-out storage applications, including object, block and file storage architectures, providing huge capacity, fast 7,200 RPM performance and economical $/TB acquisition cost. Ultrastar 7K6000 also delivers greater storage efficiency through high performance, achieving up to 3X higher random write performance, thanks to HGST media cache architecture, a diskbased caching technology, which provides a large non-volatile cache on the disk. Media cache also allows for improved reliability and data integrity during unexpected power loss. Other performance-enhancing features include higher areal density for 25% faster sequential performance vs. 7K4000, and a 128MB cache buffer. Designed to handle workloads up to 550TB per year, Ultrastar 7K6000 offers a 12Gb/s SAS (6Gb/s SATA) interface for easy integration into high performance data centers. As drive capacities increase, so does the time required to recover a failed drive in a RAID configuration. Dramatically reduce RAID rebuild times and maintain system performance during the rebuild process with the new Rebuild Assist. Learn more in our Rebuild Assist technical brief. For legacy systems that require native 512 formatting, models are available at 4TB and 2TB capacity points. Compliance and privacy requirements drive the need for increased data security. Ultrastar 7K6000 helps protect data from unauthorized use by offering security and encryption options. Instant Secure Erase (ISE) models expedite drive redeployment and retirement. Encryption models protect data with hardware-based encryption, including a Trusted Computing Group (TCG) Enterprise_A, TCG with FIPS 140-2 certification, Level 2. The Ultrastar 7K6000 is a seventh generation, 5-platter design, field proven by top server and storage OEMs, and Internet giants, and extends HGST’s long-standing tradition of reliability leadership with a 2M-hour MTBF rating and a 5-year limited warranty. The “Power Disable” feature is a new industry standard feature defined for both SATA and SAS devices. This new feature allows the host system to perform a hard reset to the hard drive (HDD). The Power Disable feature introduces a new HDD management capability to electronically provide a hard “power on reset” to the HDD. Regardless of whether you implement the feature, there are three important things to know about the feature. First, it requires a unique circuit board (PCBA) on the SATA HDD. If you want the feature, you must specifically order it. Second, if you put a new SATA HDD with this feature into a legacy chassis or enclosure, the drive may not spin up! The HDD is not defective. Some legacy power supplies provide 3.3V power on P3 (Pin 3), and this forces the HDD to get stuck in a hard reset condition preventing the HDD from spinning up. Third, if you are a chassis vendor or developer, you should begin making the required changes to be compatible with the new feature. Specifically, the chassis should support the new definition of Pin 3 and not tie Pin 3 to Power as was done in legacy chassis. For Ultrastar HDDs, HGST offers specific part numbers (with or without this feature) to support each type of chassis. Future generations of HGST drives will require chassis that are compatible with the Power Disable feature. 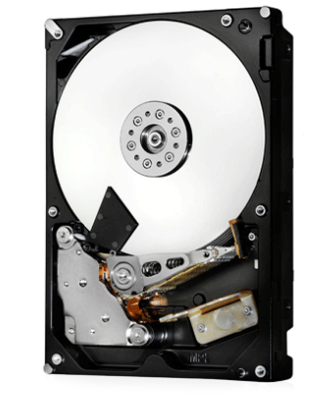 Unless you specifically require the new feature, which is included in the SATA 3.3 industry standard specification (published 2/2/2016), we recommend that you use HDDs without the feature, especially if the HDD will be going into an unknown or untested chassis.